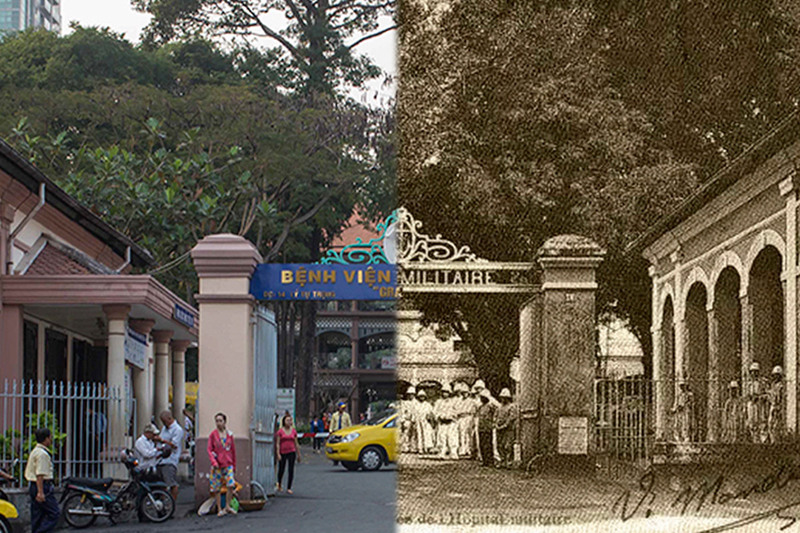 Founded in 1862 by Admiral-Governor Louis-Adolphe Bonard (1805-1867), the Hôpital Militaire was originally located at the southeast corner of the rue Nationale [Hai Bà Trưng] and boulevard Norodom [Lê Duẩn] intersection, where the Kumho Asiana Plaza now stands. 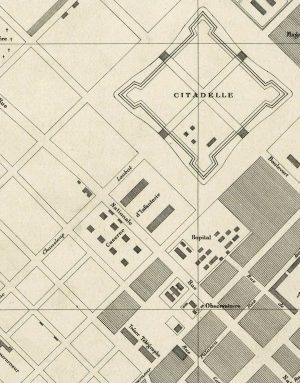 Its primary function was to serve the marine infantry, who were then garrisoned in makeshift accommodation on the northern side of the same junction. 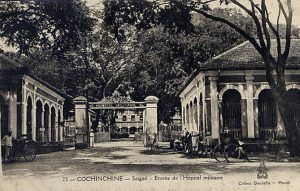 However, from the outset it treated colonial civil servants as well as French and Vietnamese soldiers. 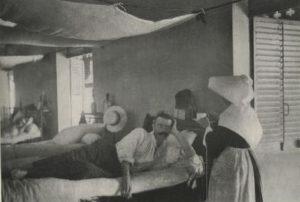 The hospital was staffed by French military doctors, with nursing support provided by the Sisters of Saint-Paul de Chartres. 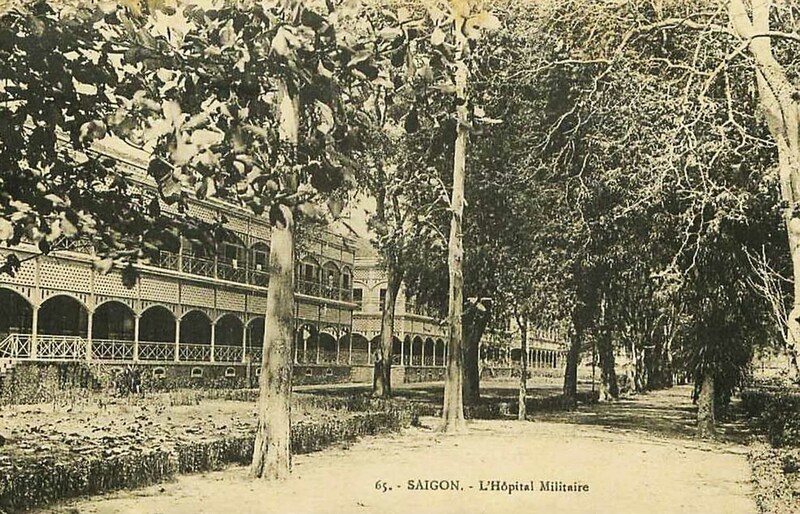 In the late 1870s, the hospital was rebuilt at its current location, 14, rue Lagrandière [14 Lý Tự Trọng], to plans by Lieutenant-Colonel J Varaigne, Director of the Marine Infantry Engineering Corps, and his deputy, Captain A A Dupommier. 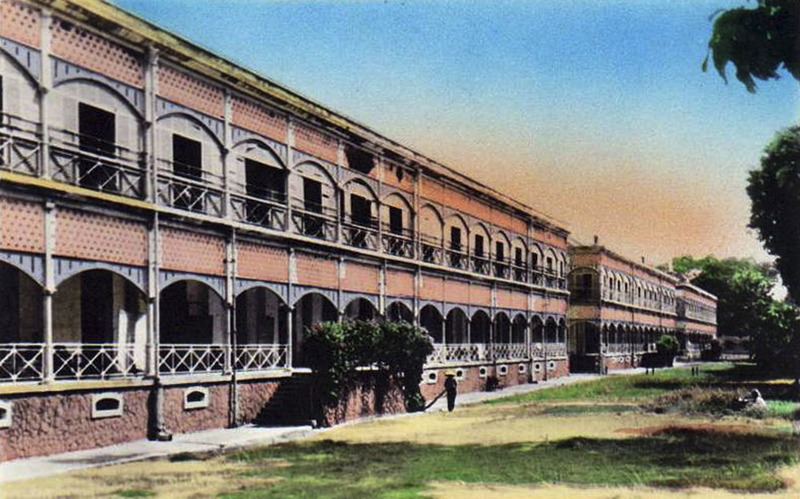 Their design for the Colonial Infantry Barracks (1870-1873) had already attracted considerable acclaim, and it was therefore decided that the hospital buildings should be built in identical style. 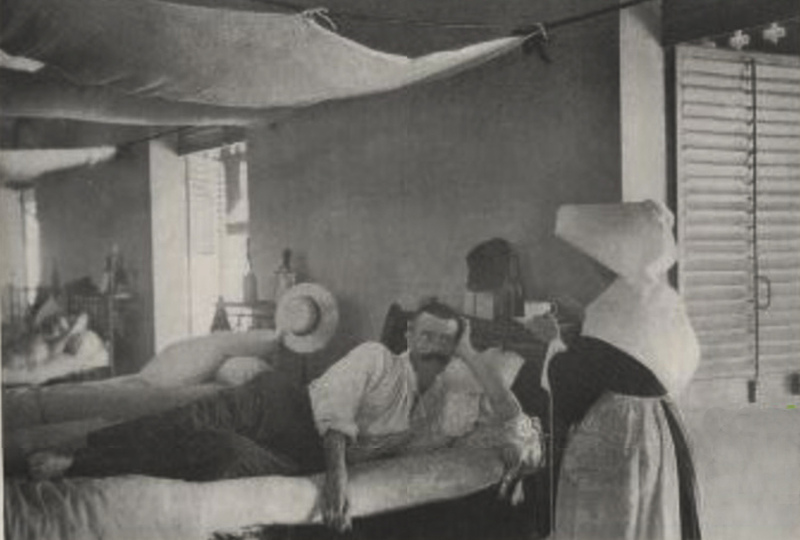 It was in one of the hospital’s smaller pavilions that Albert Calmette (1863-1933), tasked with developing vaccines against rabies and smallpox, founded the first Pasteur-Institut outside France in 1891. In 1904, when Alexandre Yersin (1863-1943) set up a larger Pasteur-Institut in Nha Trang, the Pasteur-Institut in Saigon became its annex. 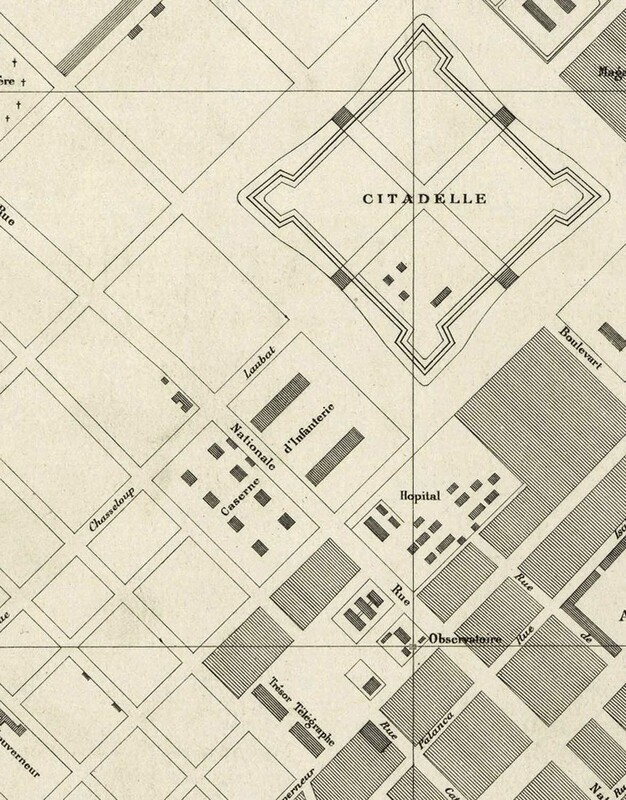 It was relocated to its current address, 167 rue Pellerin [Pasteur], in 1905. 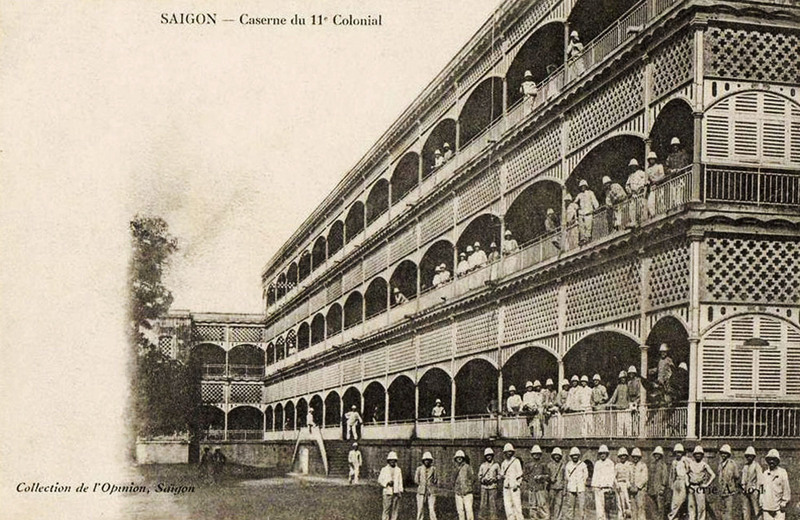 In 1925, the Hôpital Militaire was transformed into a general hospital and renamed the Hôpital Grall (Grall Hospital), in honour of the former Cochinchina Inspector-General of Medicine, Dr Charles Grall. 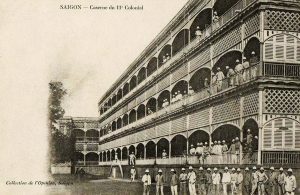 During the late colonial period, the hospital’s facilities continued to expand, and by the early 1950s, the Grall offered in excess of 500 beds and was recognised as a flagship of French medicine in Southeast Asia. 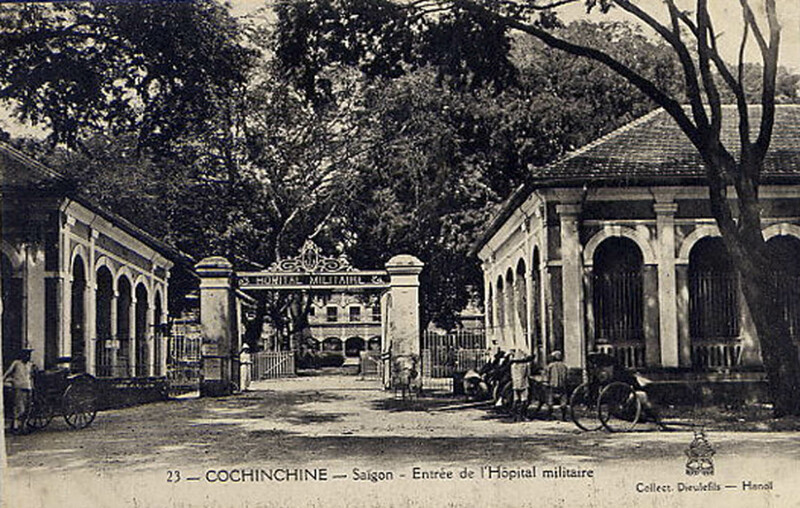 After the withdrawal of the last French troops from Indochina in April 1956, an agreement was signed between the French and RVN Foreign Ministries, permitting the French to continue running the hospital. During the 1960s, the hospital’s French medical staff ran training programmes at several universities and teaching hospitals, set up leprosy and polio treatment centres, and conducted several important research projects on Southeast Asian pathology. 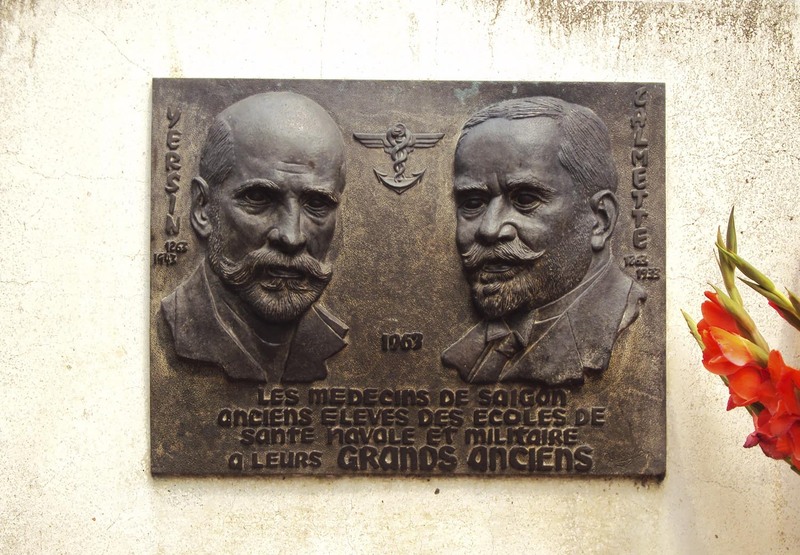 In 1963, a stele was set up in the hospital grounds, honouring the memory of scientists Calmette and Yersin, founders of the Pasteur-Institut in Việt Nam, which began life at the Military Hospital. 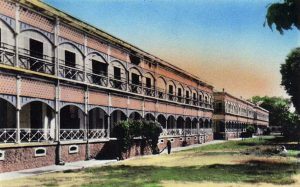 Following Reunification, the Grall Hospital resumed operation as a general hospital, but on 19 May 1978, it was transformed into a specialist pediatric hospital. In May 1990, the Association des Anciens et des Amis de l’Hôpital Grall (Alumni and Friends Association of the Grall Hospital) was set up. Five months later, a Memorandum of Understanding was signed between France and Việt Nam, providing for “the Rehabilitation of Children’s Hospital No. 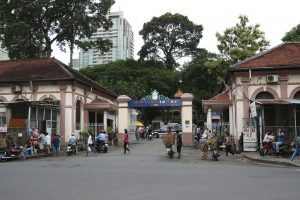 2 in Hồ Chí Minh City, known as the Grall Hospital,” including the upgrading of buildings and the improvement of medical and surgical equipment. 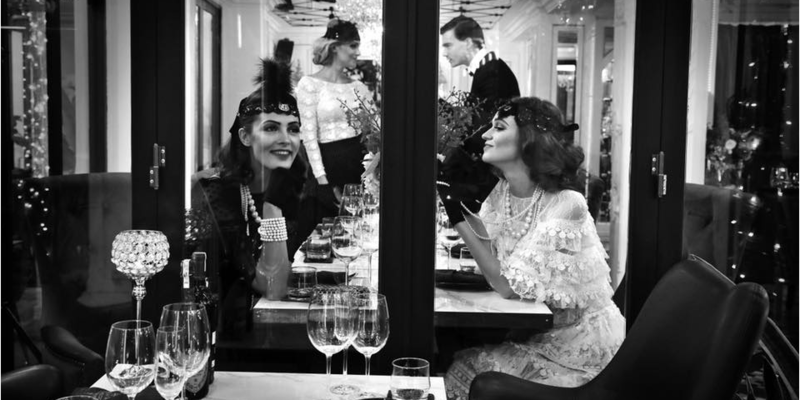 Carried out in stages between 1991 and 1995, this major project restored the old hospital pavilions sympathetically, retaining all of their original architectural features. 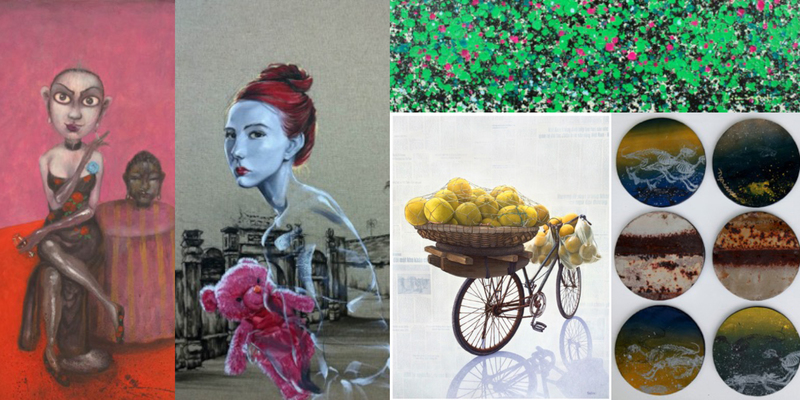 Set amidst lush gardens and shady trees, the Children’s Hospital 2 has been cited as a prime example of how good architecture can make a healthcare environment welcoming to patients and their families, rather than treating them as victims in a stark and sterile space. 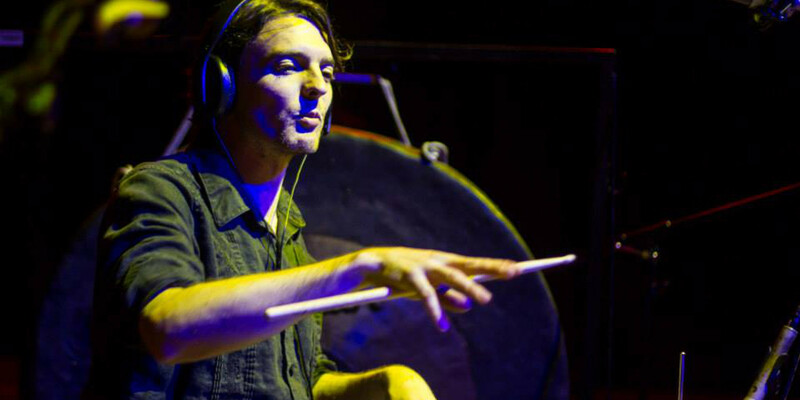 Tim Doling is the author of the walking tours book Exploring Hồ Chí Minh City (Nhà Xuất Bản Thế Giới, Hà Nội, 2014) and also conducts 4-hour Heritage Tours of Historic Saigon and Cholon. 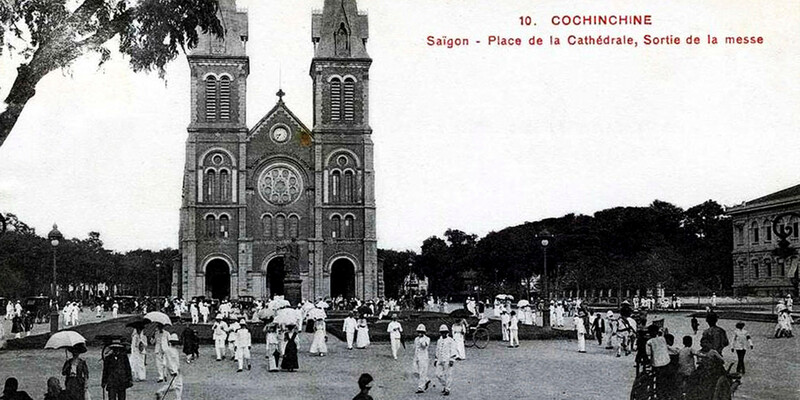 For more information about Saigon history and Tim’s tours visit his website, www.historicvietnam.com.